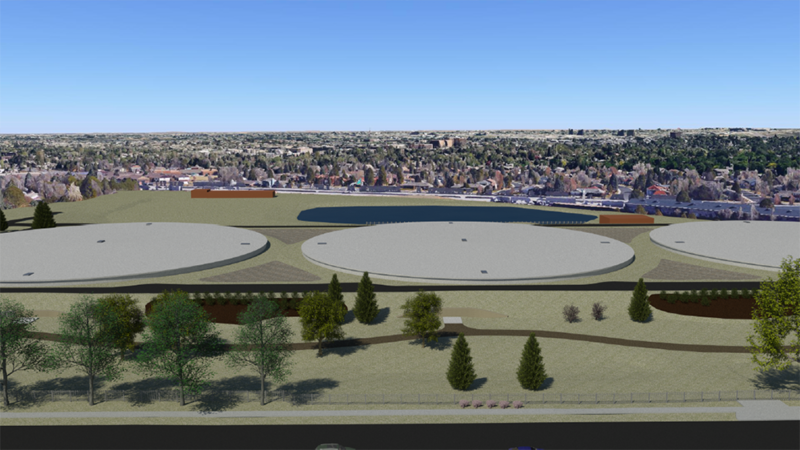 To maintain safety at the Hillcrest water storage facility and improve its reliability, Denver Water is making major upgrades through work estimated to run through 2021. 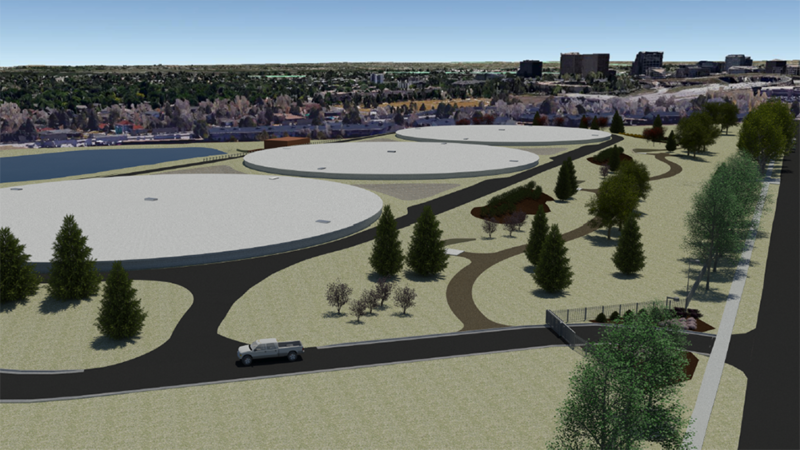 Denver Water developed the Hillcrest water storage facility in the early 1960s to replace several small, temporary pumping stations and improve the ability to reliably serve the burgeoning population of southeast Denver. Since then, the area’s population has continued to grow, placing increasing demand on the storage and pumping facilities on top of the wear and tear expected to come with age. 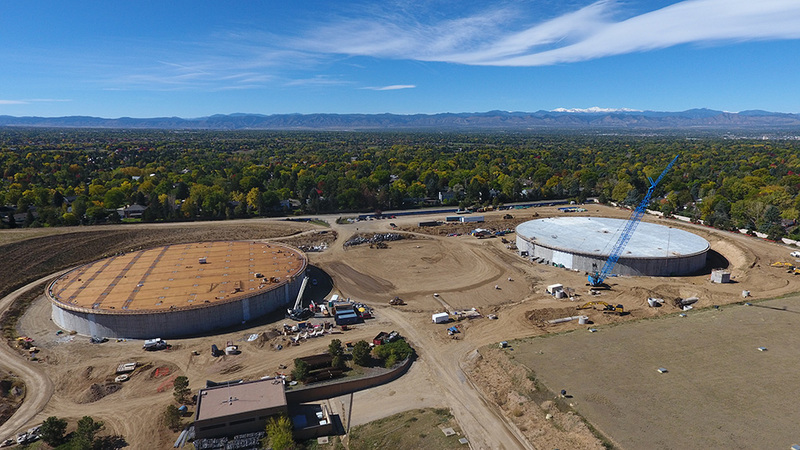 The major upgrades this project brings to the Hillcrest facility are an important part of Denver Water’s plan for continued reliable water service to the southeast Denver area. 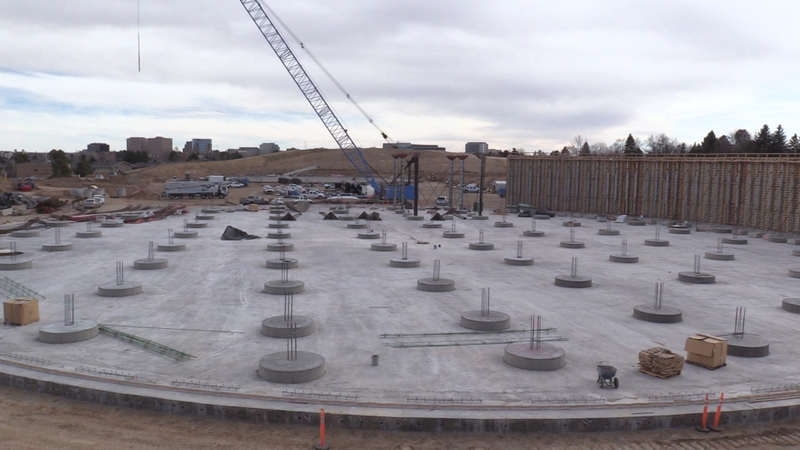 We have made some great progress on-site over the past couple weeks. Please see the updates below as a reminder for what to expect over the next couple months, including concrete placements this fall. 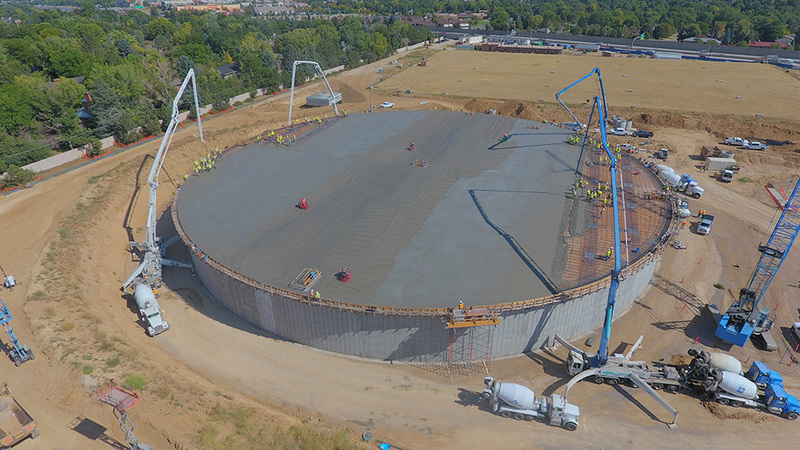 The construction of the three new water storage tanks are complete. 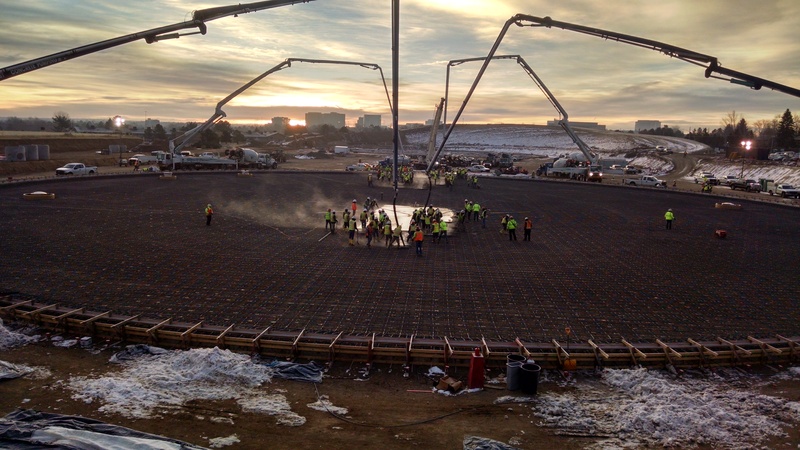 Backfill activity has begun and will continue for the remaining portion of the project. 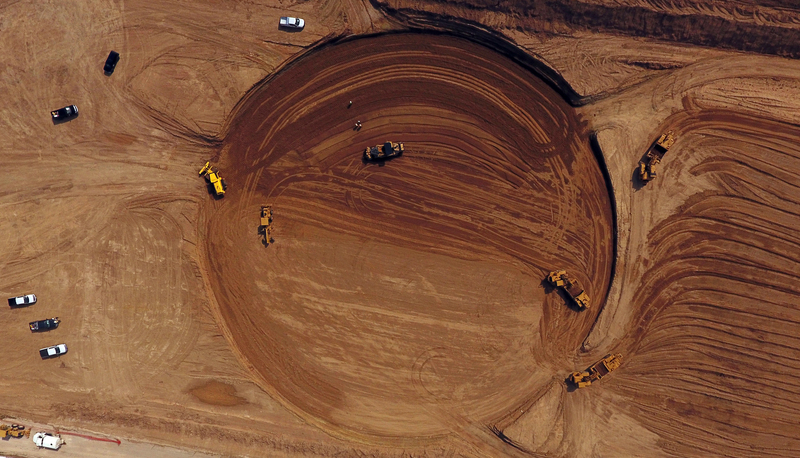 The stockpiles along Happy Canyon Road are slowly being used to backfill around the new tanks. 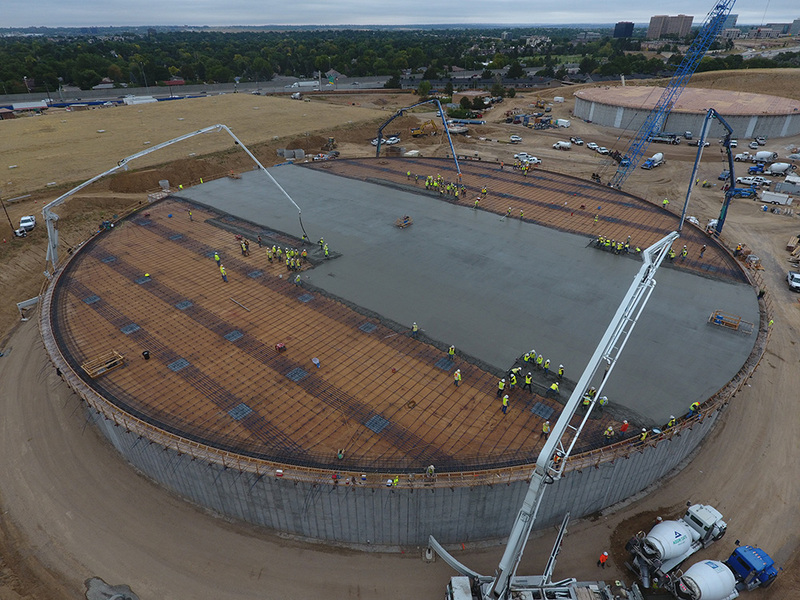 The backfill is expected to be complete by early June 2019. Dust mitigation will continuing during this activity. 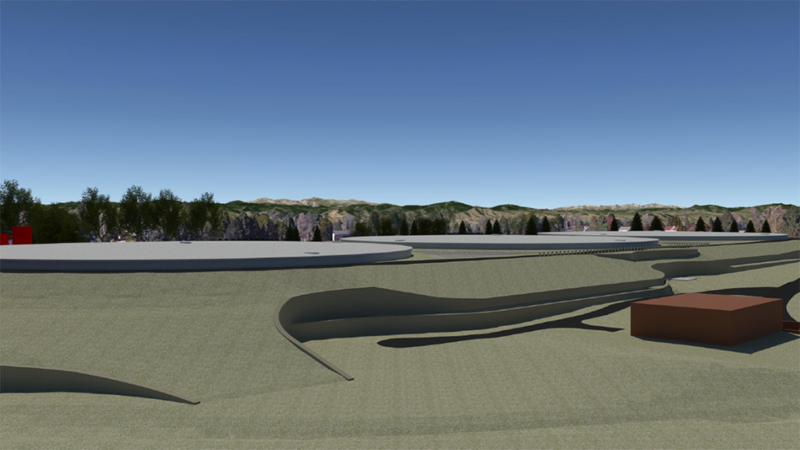 Design of the new pump station is nearly complete. Construction will begin in late 2018 and run through 2020. 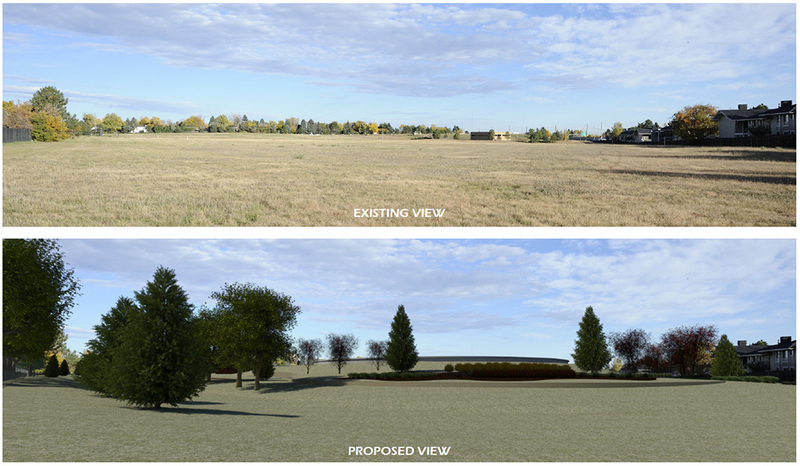 Demolition of the existing pump station will not occur until the new pump station is online. 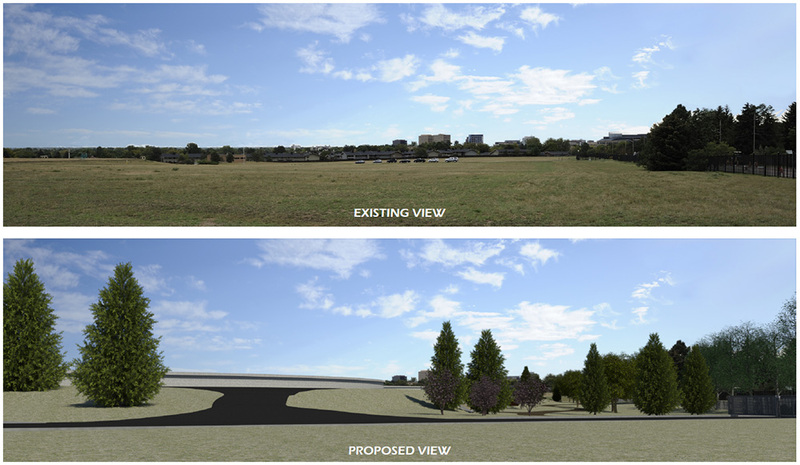 Installation of new pipe will occur along the S. Hillcrest Drive fence line in 2019. We will provide additional information as we get closer to those dates. The existing tanks are currently being demolished. This activity is expected to last another few weeks with anticipated completion of April 15, 2019. We appreciate your patience with the noise during this disruptive activity. 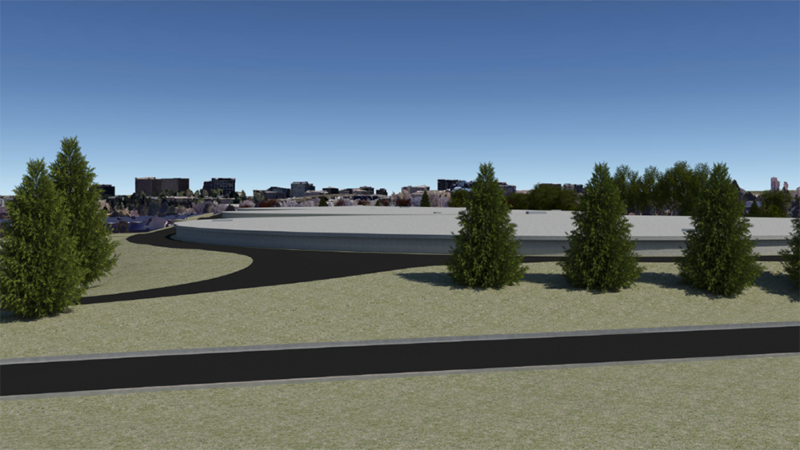 Landscaping is being broken down into two phases, the first phase around the new reservoirs is anticipated to be completed by the end of July 2019. 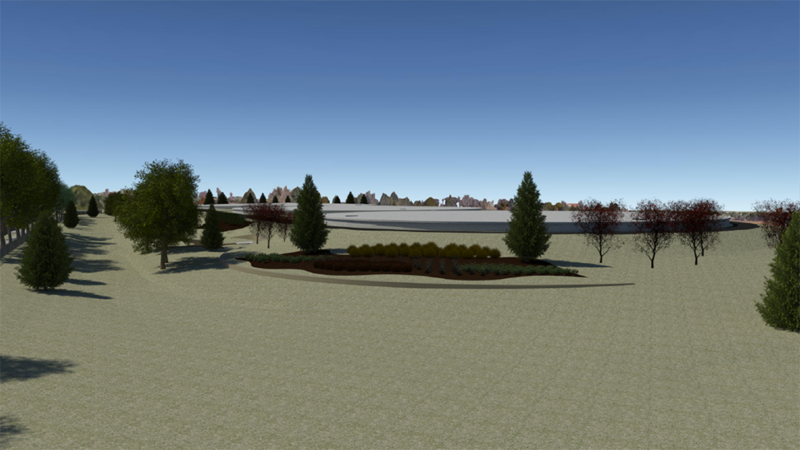 The remaining landscaping around the new pump station and remaining areas of the site is anticipated to be completed by February 2021. General work hours (outside of weekend concrete placements) are 7 a.m. to 6 p.m., Monday through Friday. Saturday work (with the same hours) will continue to be an option that our contractor, MWHC, will use when necessary to keep the project on schedule or when the work could condense the overall timeline. We continue to make every effort to keep you updated on schedule and activity changes via Nextdoor and our email distribution list. If you would like to be added to the email update list, please email Julie Seagren or Casey Corrigan. 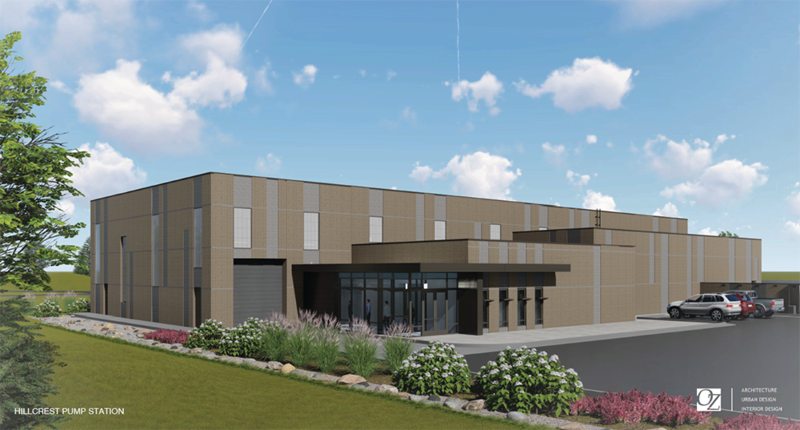 Pumping station replacement phase, 2018 through early 2020: Crews will replace the pumping equipment, which is outdated, and the pumping station's building.